Please note this event is now cancelled. Make your own colourful mobile with artist Pauline Franklyn. 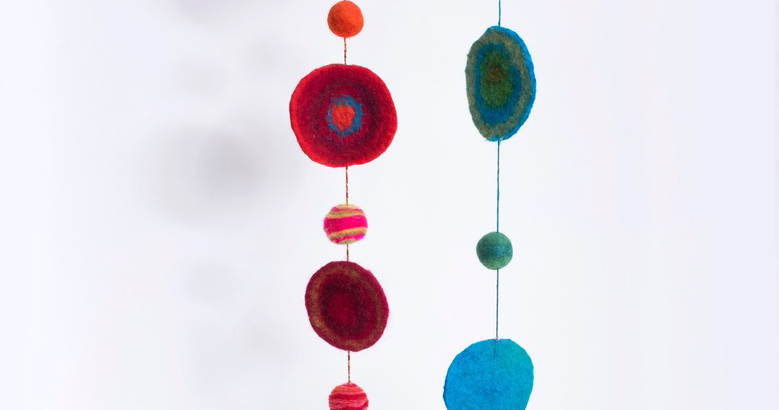 Learn the traditional craft of felting and turn your piece of felt into a colourful mobile, adding pom poms, bells and tassels. All materials provided. Please bring along a tea towel. Pauline Franklyn is a Western Australian textile artist working in wool, silk and fabric using various felting techniques and stitch. She runs textile workshops for adults and children, for professional development, creative fulfilment and pleasure. Her work is available for sale at the Lawrence Wilson Art Gallery. Suitable for ages 9 - 15.